Robin Hunicke, executive producer on Journey (2012) and now co-founder of game studio Funomena, is creating a visually rich new Oculus Touch title that wants to be played by anyone and everyone. 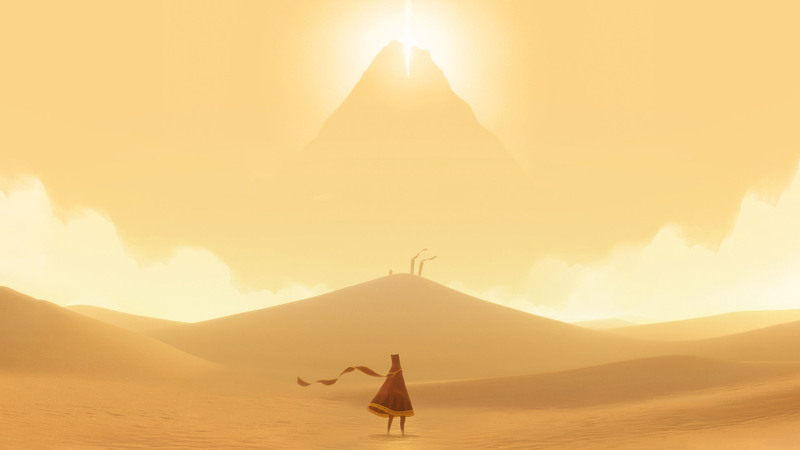 Journey is one of those games that you know you have to play as soon as you see it. 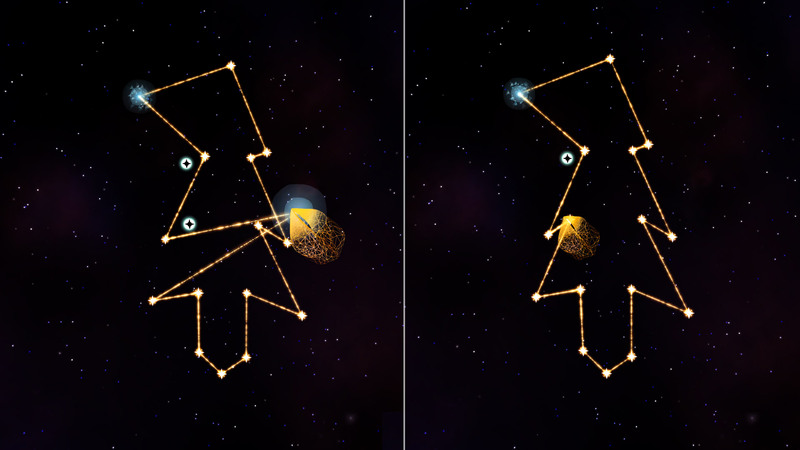 It’s one of those games that oozes with unique style, and backs it up with novel gameplay. The game launched in 2012 as a PS3 exclusive and went on to set the record as the fastest selling game released on the PlayStation Store. Though I didn’t own a PS3 at the time, just seeing it in a video stuck in my mind as a game that I needed to play whenever I might find the chance. In late 2015 I was staying in the guest house of a friend for a few weeks and fired up a long dormant PS3 that just happened to have the game sitting on its menu. It was then that I finally got to experience Journey for myself after being enticed by the trailer three years prior. When I heard that some of the core people behind the game were cooking something up for VR, I was immediately excited. The studio has four games currently in the works, one of which is Luna for Oculus Touch. I got to see it in person last month and I’m incredibly happy to report that Journey’s sense of rich style and aesthetic in Journey’s DNA have carried over into Funomena and Luna; the game has a completely unique papercraft look that’s beautiful up close and its sound design is front and center. Luna has been in development since at least 2014, but seems to have taken on new life recently thanks to the immersive power of VR (and a small grant from Oculus), which Hunicke says is not only an exciting new medium, but also one that makes games potentially much more accessible thanks to intuitive motion controls. 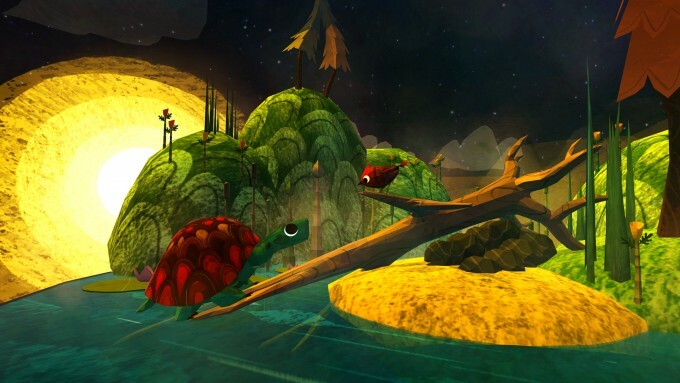 Accessibility is at the heart of Luna, which the studio describes as a “uniquely tactile VR puzzle game, where players are encouraged to observe, listen, customize and interact with a beautiful storybook world.” The game casts a wide net, and hopes to appeal to gamers and non-gamers alike. 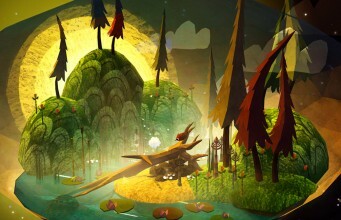 “We’ve worked especially hard to make the experience accessible to people who have never used a VR headset & controllers, and to people from all ages and walks of life—so that regardless of their prior experience, players can place, customize and interact with a miniature, musical forest while uncovering [the] enchanting interactive score,” says the studio. 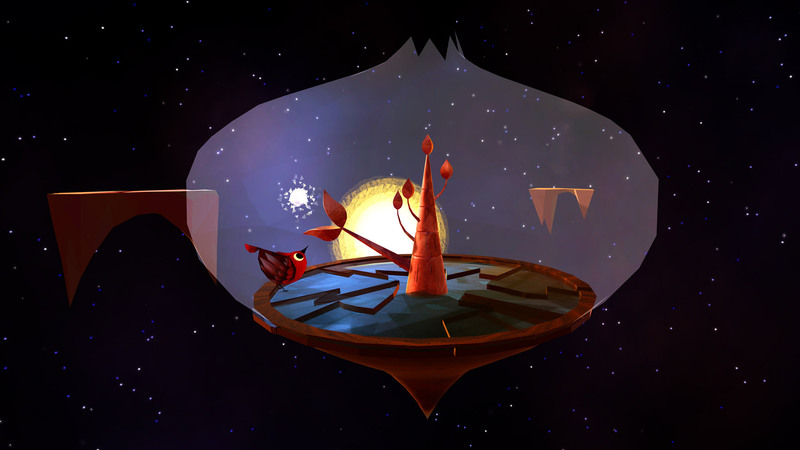 I played a 10 minute demo of the game with Oculus Touch that had me guiding an adorable bird around little platforms floating in a vast starfield (see video of the demo in action at the top of this article). As I progressed through the demo, I helped my bird friend unlock memories by unscrambling some mixed up constellations using the Touch controllers to reach out and rearrange the stars. These simple puzzles grew only slightly more complicated in the short demo, and eventually I was presented with a small terrarium which allowed me to place natural objects like trees, flowers, and reeds, all of which could be modified in size and shape and, one placed, brushed with the controller to elicit some sort of musical note or sound. Once I decorated the scene sufficiently, an adorable turtle emerged from the water to greet the little bird character. Despite the casual puzzle element, Luna didn’t feel very game-like, instead seeming more like an interactive VR storybook. I enjoyed the visual and sound design, and liked the slightly creative and interactive musical elements in the terrarium at the end, however, I didn’t get a sense of what the broader gameplay might look like once fleshed out into a full game, and for the time being I didn’t feel a strong hook that made me eager to experience more of Luna’s world. I wanted to care about the adorable critters before me, or be enchanted by the gameplay, but at least the brief 10 minutes I spent with the game, I didn’t see hints of where that hook might emerge. Hunicke says that some of the core design elements of the game (like the aesthetic and animation style) have been largely locked in, but now there’s much work to be done to develop the narrative (which would have been entirely abstract to me, had she not explained what was happening as I went through the demo), and other aspects of the game. Luna is much different than most of what else is being created for VR right now, which is a good thing, but as the title continues development it seems like it could benefit from a more firm direction toward the ‘game’ or ‘experience’ categories, as sticking to the middle of the road could leave both camps unsatisfied. The post Exec. Producer of Indie Hit ‘Journey’ is Developing a Unique Title for Oculus Touch appeared first on Road to VR.